Let your little girl look fashionable wearing this smart peplum sleeves top from Beebay. Checks pattern & bow applique makes it look attractive. 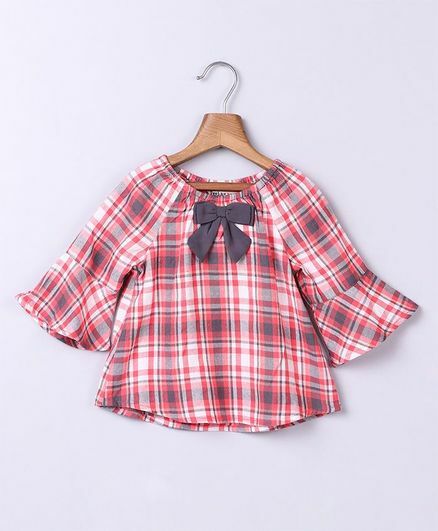 Made of Viscose fabric, this top will keep your little one comfortable all day long.